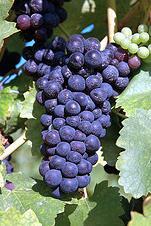 Is the Recession Crushing Oregon’s Wine Industry? Although Oregon’s nearly 400 commercial wineries are generally pleased with this year’s robust harvest, a combination of economic and other added factors may spoil the season for the state’s $1 billion wine industry. The lingering economic recession, combined with sagging consumer demand, continued downward pricing, distributors’ aversion to taking on new accounts and bankers hesitant to extend credit lines, all threaten a significant shake-up of Oregon’s wine industry. According to All Business, the first casualties of any major shake-up are likely to be newer wineries that sell only high-end pinot noir. That business model worked well when consumers were willing to spend big bucks for their favorite wines. However, with consumers opting for less-expensive brands and distributors refusing to take on new labels, many of Oregon’s upstart wineries may be left out in the cold. In order to adjust to the current economic realm, most of the state’s wineries are making significant modifications to their business plans and taking the necessary and sometimes painful steps needed to cope and survive in this changing retail and wholesale environment. Banks are also playing their part in the current shake-up. According to Wine Spectator, most banks tightened credit lines late last year, and while they’re still lending, many are requiring wineries to substantiate their ability to weather the storm through sound and verifiable business plans. Nationally, consumers are eating out less and ordering cheaper bottles of wine when they do go out. According to Wine Spectator, wineries that previously concentrated mainly on restaurant sales are now shifting their focus to grocery stores and other retailers. Consumers aren’t buying less wine when they go shopping, but they are buying less-expensive wine. The most popular categories of wine currently are priced between $10 and $20. According to The Oregonian, overall sales of wines at many state wineries priced at $25 and less are actually up compared to this time last year. However, sales of higher-priced wines priced at $40 and up are down. To compound the situation, many of the state’s wineries remain hindered by unsold inventory and a poorly received 2007 vintage. I suppose that unsold inventory will be sold at cut-rate prices which will put negative pressure on the inventory of solid wineries that are performing well. I do not understand. If hoem dinners are goign up why not teh wine people drink at home. This si where the wineries should focus their advertising. People have to drink and wine is affordable. Take a toast to that. As a wine participant, it would serve the wine vineyards to decrease their wine sales to their restuarant investors slightly, lower their prices to the public, and in the process research both ends to see if one or the other end is diminishing their profit returns. I eat out regulary, and enjoy my wine with proper food pairing. However, if I find that my local wine salesman is significantly lower than the restuarants which serve my wine of choice, than I do believe the vineyards are not doing their homework responsibly. In the end, the consumer will reprimant their restuarant by making less visits, and will be more likely not to trust their wineries by making the appropriate decisions in their sales to the large sales to the restuarant business.